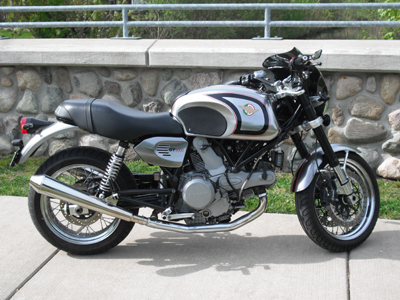 SEL-MOTION Motorsports is pleased to present: Ducati GT1000. SEL-MOTION offers complete turn-key conversion motorcycles. This motorcycle is shown for the example purpose of what can be built. The motorcycle as-shown is not for sale but can be reproduced to the customer's specification.